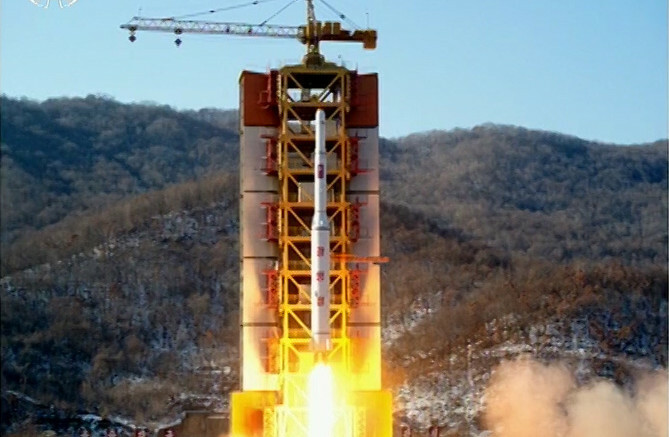 North Korea says it successfully launched a satellite on Sunday morning and a U.S. military space monitoring system confirms it did put something into space. The launch of the Kwangmyongsong-4 satellite took place at 0030 UTC, according to state media, which said it entered its orbit 9 minutes and 46 seconds after lift-off. The satellite is the fifth that the country has attempted to put into orbit and the second one that has made it into space. The first three, Kwangmyongsong 1, 2 and 3, didn’t make it while the fourth, Kwangmyongsong 3-2, did get into orbit but is believed to be dead. While North Korean media claimed it was operating successfully, no signals have ever been detected by satellite monitors. Now the race is on to see if signals can be received from Kwangmyongsong-4. Unlike the previous two launches, North Korea didn’t provide any technical details to the International Telecommunications Union on the frequencies the satellite will use. So, satellite hunters are looking around the frequency stated for the previous satellite: 470MHz. Also this time around, state media has yet to publish any images of the satellite. Those would help narrow down technical information about the satellite though seeing its sensors and antennae.